Nashville, TN – The Iowa Cubs scored three runs in the top of the eighth inning on their way to a 4-1 win over the Nashville Sounds in front of 5,857 fans at First Tennessee Park Thursday night. In a 1-1 game, Kristopher Negron led off the eighth with a triple to the right-center gap off of Nashville reliever J.B. Wendelken. Moments later, Munenori Kawasaki singled to right to score Negron and give the Cubs a 2-1 lead. Wendelken came back to strike out John Andreoli for the second out, but then allowed a run-scoring triple to Albert Almora Jr. On the next pitch, Wendelken uncorked a wild pitch to allow Almora to score and make it 4-1. 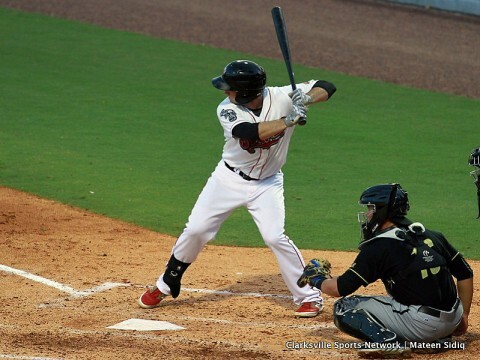 The Sounds went quietly in the eighth and ninth innings to suffer their third straight loss to fall to 12-15. Henderson Alvarez made his second MLB rehab assignment start with Nashville and worked 4 2/3 innings. He allowed one run on three hits and three walks to go along with three strikeouts. Nashville trailed when Alvarez exited but came back and tied the game in sixth when Joey Wendle raced home from third on a dropped popup by Cubs second baseman Arismendy Alcantara. Relievers Eduard Santos and Daniel Coulombe kept it a 1-1 game until the trouble began in the eighth to allow Iowa to take control and win the series. The Sounds welcome the Memphis Redbirds to Nashville for a four-game series set to begin Friday night. Left-hander Dillon Overton (1-2, 3.38) starts for the Sounds against right-hander Thomas Lee (1-2, 5.48) for the Redbirds. First pitch is scheduled for 6:35pm.